The boys sure do look like they are enjoying their snacks! I want to try those puffy things! Their packaging is so so cute. Love the purple cape and all the kid pictures. I couldn't get the video on my phone but it shows just fine on my laptop. This is an excellent contest. Oh and I also loved that when I clicked on the video, there was a link to a $1 off coupon. That's a great perk. Lisa, what I want to know is how you got on all those sample/review programs! As for PlumOrganics, I thought the Go Bars Chocolate Chip looked tasty. Who doesn't like costumes?!! Love the looks on the boy's faces, it's obvious they're loving their snacks. 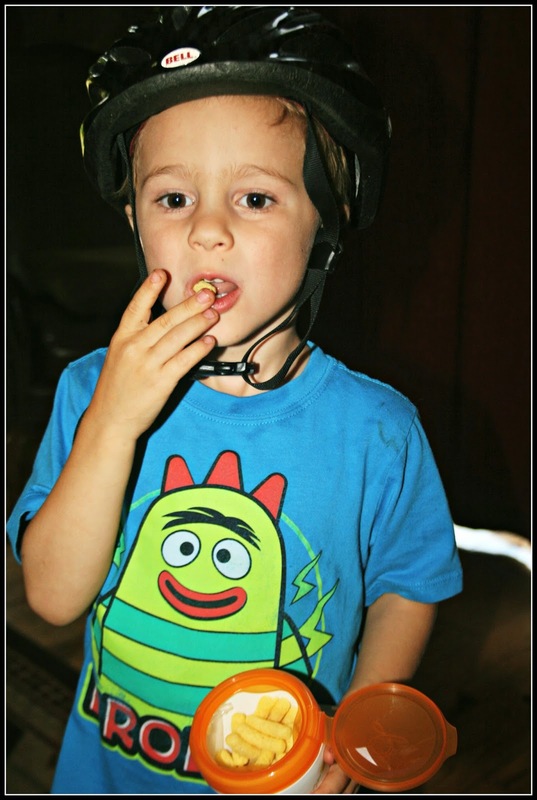 your boys are awesome taste tester superheroes! Your boys are adorable :) And the organic stuff seems cool... In India, organic products are gaining popularity too these days ! Id love to try the mighty 4 bars. The just veggies sweet potato sounds perfect for us! I like snacks that are good for the kids, but they enjoy the flavor. Mighty 4 strawberry bars because my son has a thing for strawberry! I'd like to try the Just Veggies - Sweet potato or carrots. I think my guy would really like them!! Em Mahr - I think my kids would really like the Plum Organics Tots Fruit & Grain Mish Mash, Apple Cinnamon Oats & Quinoa. They love apple flavor and I like that it has quinoa. I have never seen these anywhere! And they look so good...plus healthy! Thanks for alerting me to the Fourth post, I would have missed it! We'd like to try the super purples blueberry and purple sweet potato puffs. All the products look awesome. I'd like to try the teensy fruits berry. grammy sammy cinnamon graham & vanilla yogurt sounds like something my boys would love! Cute video. The pirate fascination resonates here as well with our crew of kids. Until this moment I'd never heard of Plum organics . . I really like the video . . Best of all i like knowing you have four drawers of costumes . . Lately i have been considering how "we" - (my students and I) could begin allowing our Super Powers to show . . . You've given me some great ideas . . . I would like to try the fruit & grain mish mash blueberry oats & quinoa and the mighty puff’ems™ – cheesy pumpkin sage. Both look tasty! I would like to try the Mighty 4 Strawberry Bars. Thanks for sharing about these snacks. I like that they are low in sugar, too. Would love to try the chocolate brownie go bars! They have so much yummy stuff. If I had to choose just one to try I think it would be the fruit and veggie shredz. I love their "just" line. The "just mangos" sounds just my style! 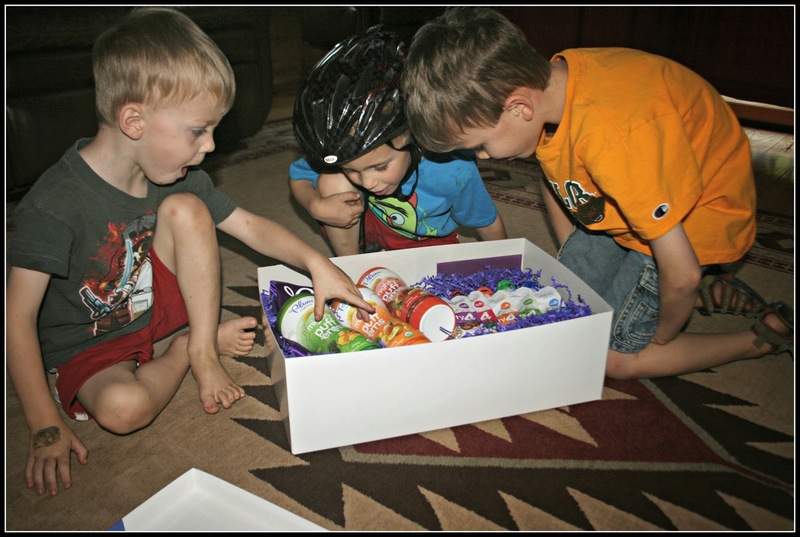 it was difficult to concentrate on your dialogue with those wonderful boy-shots :-)..what a neat box of goodies, and idea. They do make great products. My nephews are a fan. I really want to try the go bar snickerdoodle! The just mangos sound delicious! Definitely want to try and find that here. Yes, school about to start again, can you believe it?? The boys are SO cute; I always love seeing their pics, Lisa. I am sure even old ladies like me would enjoy this in their lunchbox! p.s. if you had girls, that costume drawer would be full of dresses and high heals. Any of the mighty 4 blends or bistro bowls are intriguing. These kiddos are so fun! I got a laugh about you not being sure on any given trip to town whether a super hero will be attired and along in the back seat! Also very encouraging to see a good bicycle helmet being worn. I wish we had these when I was a kid. I wonder how we survived without them! So many to choose from but the sound of the second blends plum berry & barley sounds great. I'd love to try the puffs for my daughter. They would make a great on the go snack. I would love to try the jammy sammy - blueberry & oatmeal. Thank you for the wonderful giveaway. The Mighty 4 Strawberry Bars sound yummy! Lucky my boys love to share with mommy! I like the fruit & grain mish mash apple cinnamon oats & quinoa. The Mighty 4 bars sound delicious! Your sons have good taste. Sounds tasty and thumbs up for being healthy too! The mighty 4 essential nutrition bar – blueberry with carrot sounds like it would be great! Its something I would love for my children to try. Nothing better than hidden vegetables! The strawberry bars sound like something my boys would like! I like that rug, Lisa. I have one just like it in my apartment. Any of the mish mash! We'd like to try their Just Veggies Butternut Squash! You need to stop dreaming such negative things, LOL! Their Bars sound great and also their new World Baby collection-- Beans & Rice w/ Sweet Corn sounds yummy, too! Thanks for the opportunity to try some of their products for my baby girl! Would love to try their stage 3 meals (organic sweet corn & carrot with turkey in particular). I think the second blends kale apple & greek yogurt sounds interesting and healthy. 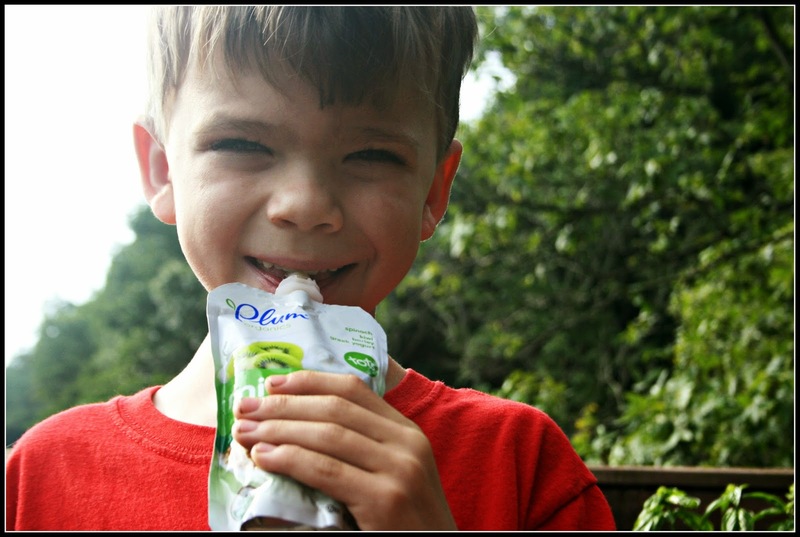 My grandson loves Plum Organics. I have not seen the Yogurts Dippers, I will have to request our store to get them. Yummy. 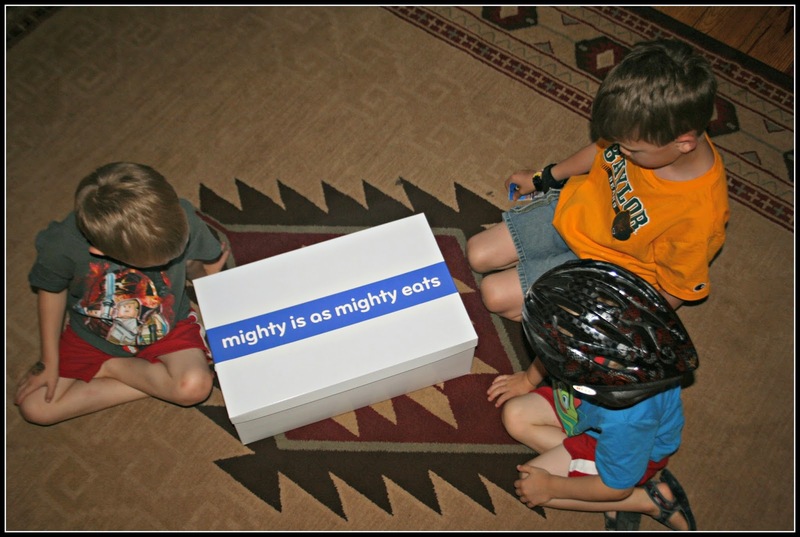 I'd love to try the mighty4 essential nutrition bars! I think my daughter would love the puffs and fruit bars! 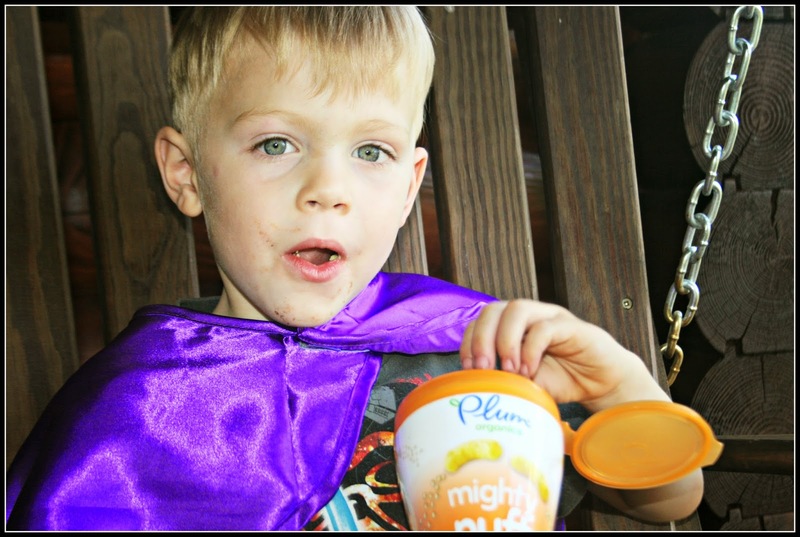 My boys LOVE the Plum Organics Super Puffs! Id like to try the go bar snickerdoodles or go bar chocolate chip bars. we would like to try the cherry fruit straws. I know my kids would love the grammy sammy cocoa graham & banana yogurt. The fruit cherry straws sound very yummy and being organic, our family would love them.